He had a good time on our last trip up there. It was only fitting that he get a photo! I'm sure he will enjoy it years down the road. 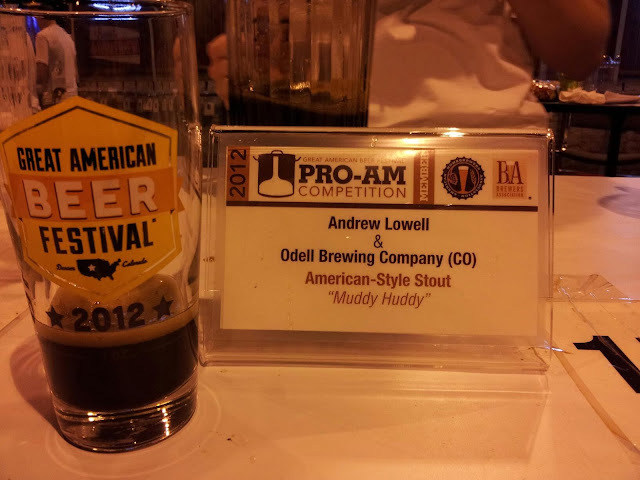 The GABF was in October and it was a great time. 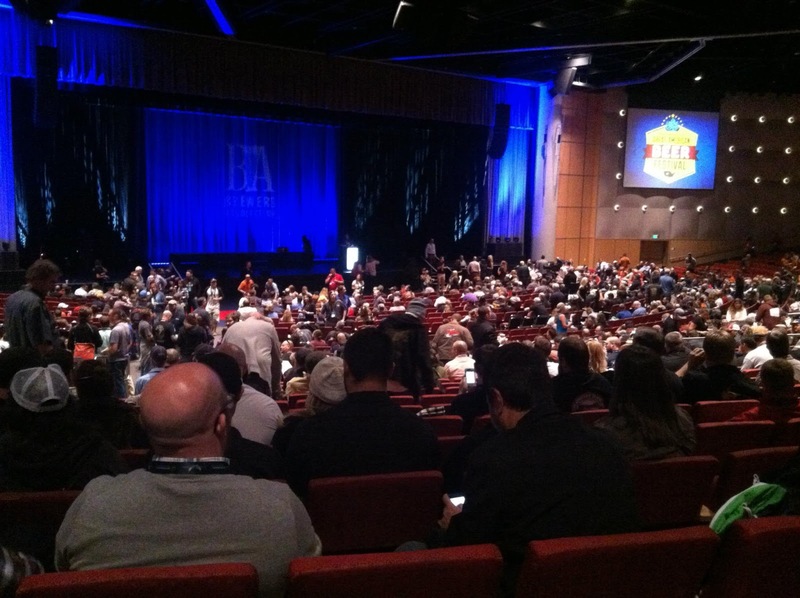 We went down early for the awards ceremony, which was HUGE. It was great to see entire theater fit for 5,000 people almost full. 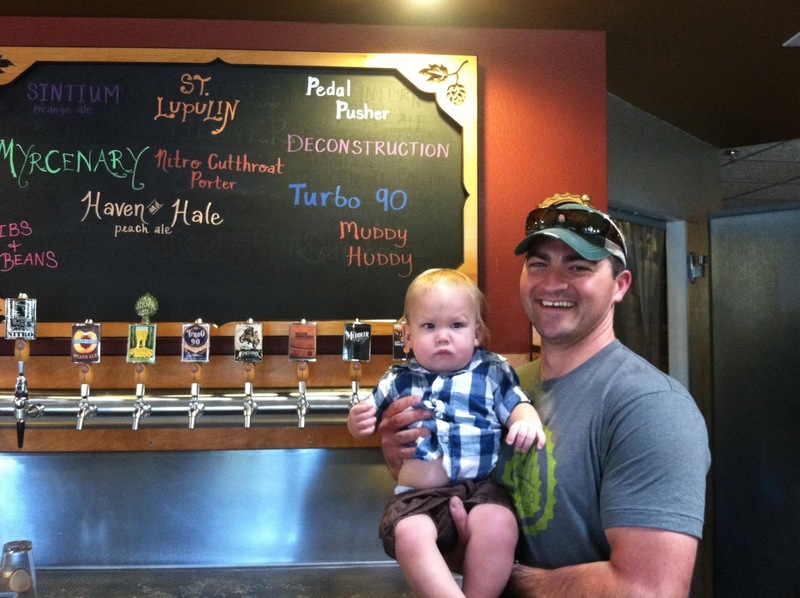 Muddy Huddy didn't earn any medals, but it was cool to see all of the other breweries and the beers that earned them top spots! 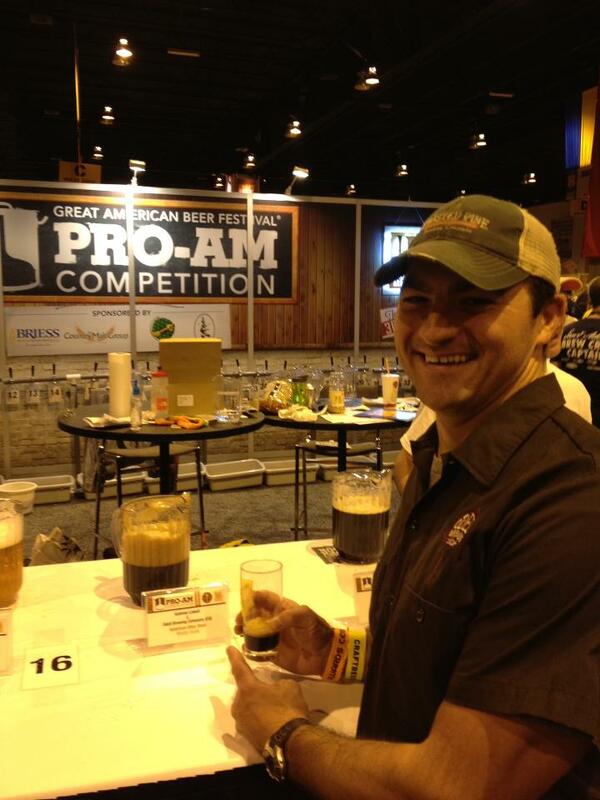 I stopped by the ProAm booth while at the GABF to taste Muddy Huddy once again! It was fun to taste the beers from the hundreds of breweries there. Well, that was GABF in a nutshell. Next up, I'm brewing an imperial version of Muddy Huddy next weekend....called King Huddy. I hope it will be around 11-12% ABV. It will be part of a partigyle brew, with the second beer being a breakfast stout...literally. Flavors of smoky bacon, maple, coffee, and biscuits will come through on this one. It will be interesting. For those of you that don't know what a partigyle mash/brew is, it is a mash that results in 2 or more beers. The first beer that is produced is from a higher gravity wort that is taken from the "first runnings" of the mash. Basically, taking the wort that is produced in the mash and draining it into the brew kettle with minimal rinsing (sparging) of the grain. This results in a high gravity wort. The second beer is from the "second runnings" of the mash. Therefore, there is less sugar in the mash after the first runnings and sparging is often necessary. This results in a lower gravity wort in the brew kettle. Therefore, the first beer can be a higher alcohol brew and the second can be a lower alcohol or even a session beer. This also allows you to create two very different beers from the same mash. Things such as hops added and yeast used can be changed between the two beers from the same mash! I will also be adding additional specialty grains to the mash before collecting the second runnings to give the beer a different flavor (smoke and coffee). It could go very well...or very badly. Nonetheless, the process will be exciting and it will be fun to experiment with this facet of brewing. I'll keep you posted on how it turns out.